Celebrating their 60th anniversary year, Opera Australia presents a range of mainstage operas and special events, while continuing to take opera to regional centres. Sydney’s year of opera begins with recent oft-seen productions La Bohème, directed by Gale Edwards, The Magic Flute, based on the Met Opera production by Julie Taymor. Sydney operagoers will have their chance to see new, multi-Helpmann Award-winning Australian opera The Rabbits. Elijah Moshinsky’s much-praised 1920s version of The Barber of Seville returns to Sydney. Francesca Zambello’s 2005 production of The Love for Three Oranges will be revived, as will Moffat Oxenbould’s 2000 staging of Simon Boccanegra. Two acclaimed Australian storytellers will helm new productions. Michael Gow will direct a new production of The Pearlfishers, and John Bell will direct a new staging of Carmen. A co-production will Opéra de Lausanne will bring rarely performed Verdi opera Luisa Miller to Australia. Sir David McVicar will complete his Mozart/Da Ponte trilogy with whimsical romantic comedy Così fan tutte. In a special event for the 60th anniversary year, 1995 opera The Eighth Wonder, which tells the dramatic story of the creation of Sydney Opera House, will be performed on the Forecourt, with the House itself as the backdrop. 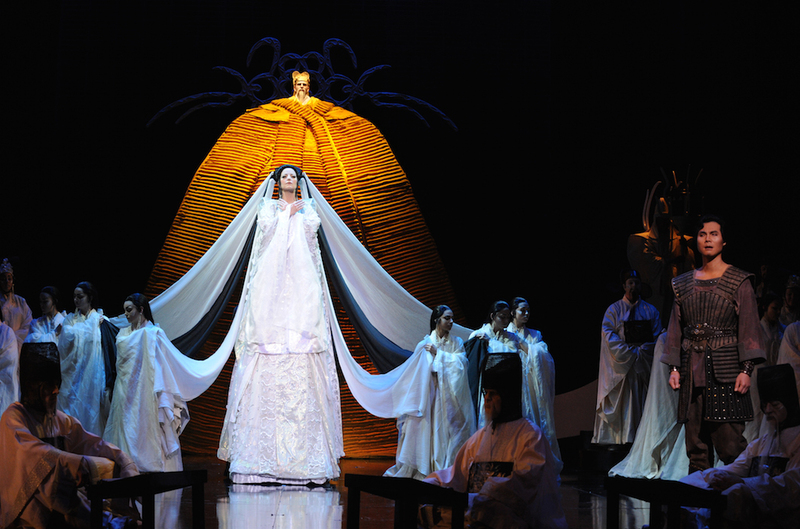 Chen Shi-Zheng, the director of 2016 Handa Opera on Sydney Harbour Turandot, has a unique background of Chinese Opera in Beijing and western theatre in New York. Joined by local designer Dan Potra, Shi-Zheng is set to create a sensational outdoor production. 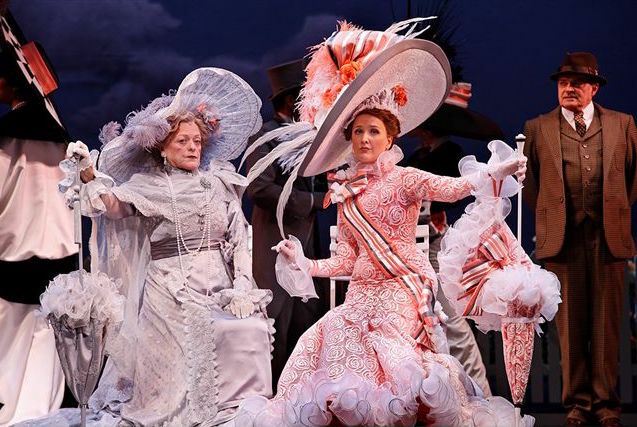 The 60th anniversary production of My Fair Lady, directed by none other than original Broadway Eliza Doolittle, Dame Julie Andrews, is sure to garner world attention. Opera Australia previously staged My Fair Lady in 2008 (below) starring Taryn Fiebig and Reg Livermore. As promised when initially launched, the Melbourne Ring Cycle will make the first of its three-year encore appearances. The 2013 premiere cycles brought immense acclaim, and are sure to be just as popular in 2016. Popular local singers Jacqueline Dark, Warwick Fyfe, Daniel Sumegi and Jud Arthur return to their roles, as does German tenor Stefan Vinke. 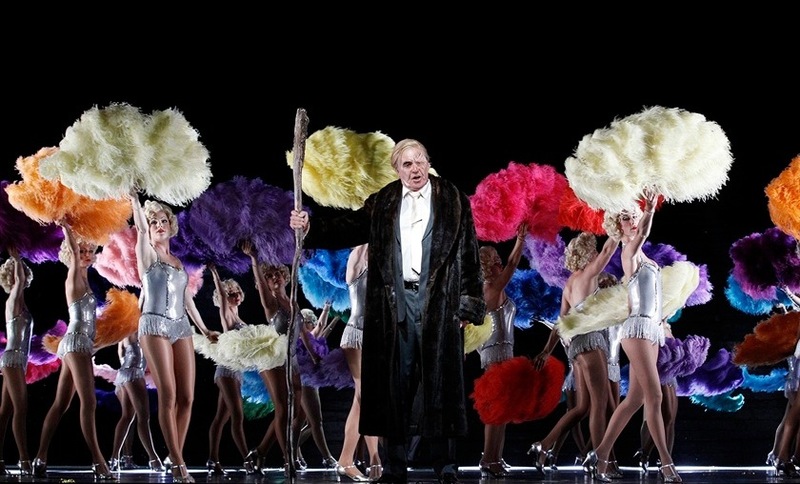 American bass-baritone makes his Australian debut as Wotan. American soprano Lise Lindstrom, recently seen locally as Turandot, will sing her first full Ring Cycle as Brünnhilde. Casting for Sieglinde is yet to be confirmed. A number of high profile international artists will make their Australian debuts in 2016. Slovakian tenor Pavol Breslik will play Nadir and Russian soprano Ekaterina Siurina will play Leïla in The Pearlfishers in Sydney. Young French mezzo-soprano Clémentine Margaine will star as Carmen, a role for which she is in great demand around the world. America tenor Charles Castronovo will sing Ferrando in Così fan tutte. 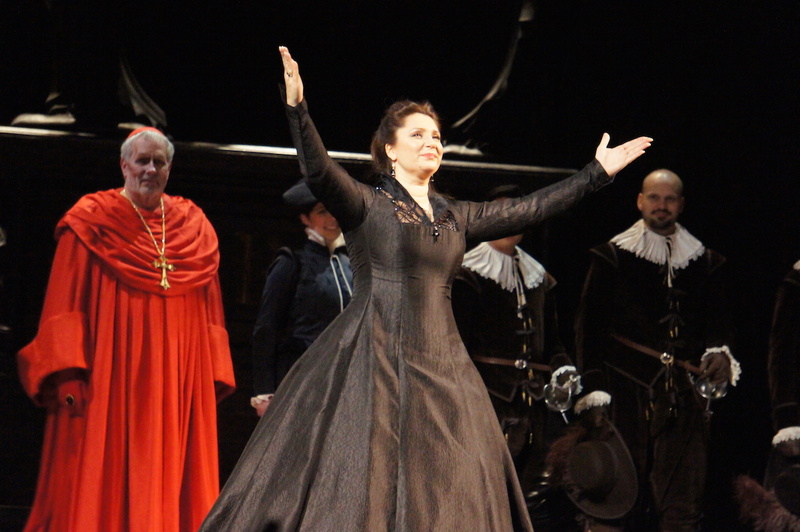 Italian soprano Barbara Frittoli (below), a frequent performer at Met Opera, New York will play Amelia in Simon Boccanegra. Returning overseas singers include Italian baritones Paolo Bordogna and Giorgio Caodura who will share the title role in The Barber of Seville. Luisa Miller’s famous tenor aria “Quando le sere al placido” will be sung by Mexican tenor Diego Torre in Sydney and Italian tenor Riccardo Massi in Melbourne. 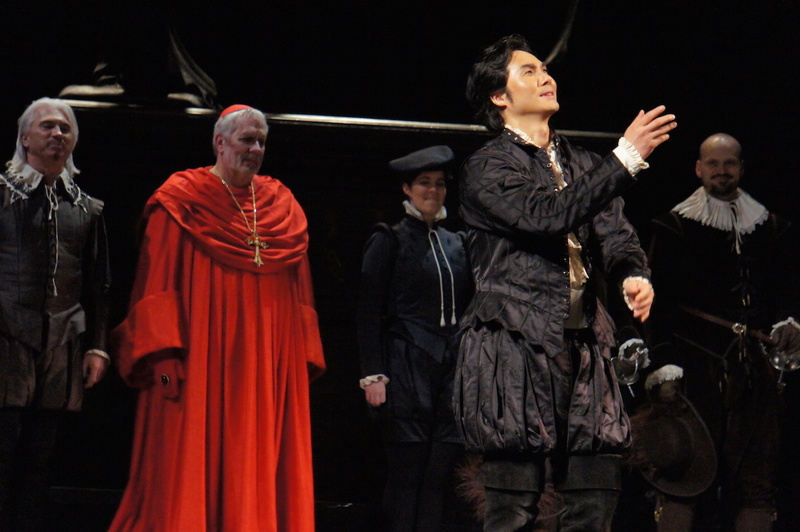 Exceptional Korean tenor Yonghoon Lee (below) will play Don José in Carmen. Armenian soprano Lianna Haroutounian will join Italian tenor Gianluca Terranova in La Bohème Melbourne. Australian mezzo-soprano Anna Dowsley graduates from Young artist to principal, making her role debut as Rosina in The Barber of Seville. Australian soprano Nicole Car (below), fast rising in international prominence, will make her role debut as Luisa Miller. Car and Taryn Fiebig will have performed in all three operas in McVicar’s Da Ponte/Mozart trilogy when they appear in Così fan tutte. 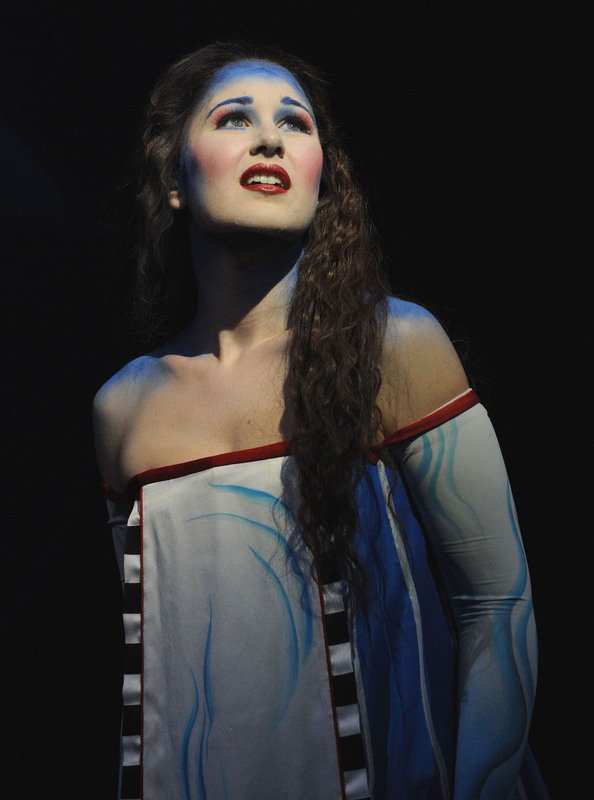 Revered Australian soprano Emma Matthews will play Leïla in The Pearlfishers in Melbourne. Popular singers not seen in the 2016 season include Rachelle Durkin, Cheryl Barker and Teddy Tahu Rhodes. Emma Matthews is only seen in Melbourne. Jacqueline Dark is in the Melbourne Ring Cycle, but will be occupied for most of the year with The Sound of Music, as will Dominica Matthews. A new touring production of The Marriage of Figaro, directed by Michael Gow, will tour to performing arts centres in Victoria, New South Wales and Tasmania in July and August. Further 2016 season details and booking information can be found at Opera Australia.